Time to bake the cookies! How about Iced Sugar Cookies, Peanut Butter Cookies and Chocolate Candy Cookies? 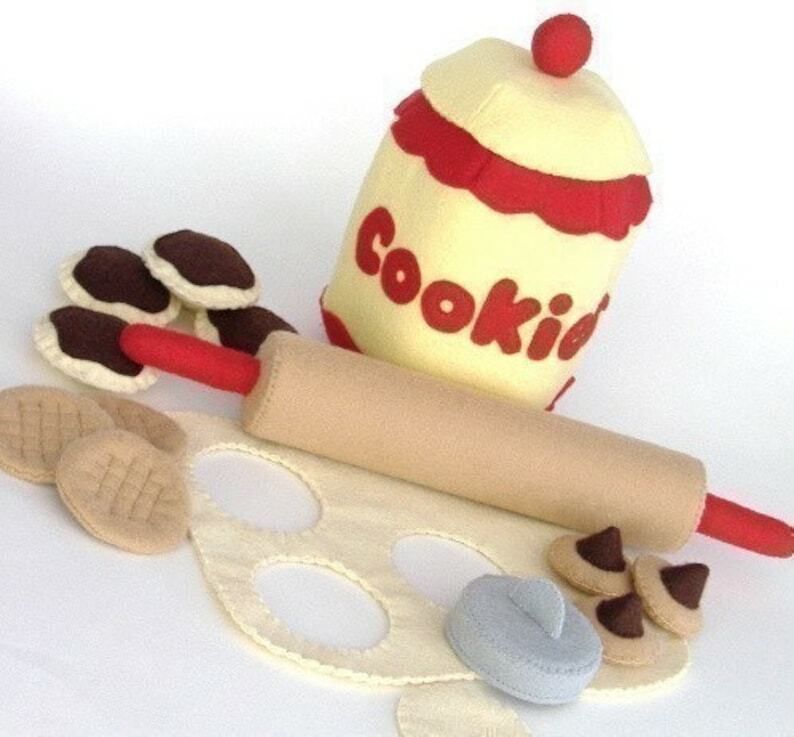 Have fun pretending to roll out the dough with the rolling pin and cut out sugar cookies with the cookie cutter. Store all of your sweets in the cookie jar when you are finished!